Trump Junior Address on Indo-Pacific Ties Renamed Following Criticism - Integration Through Media ....! 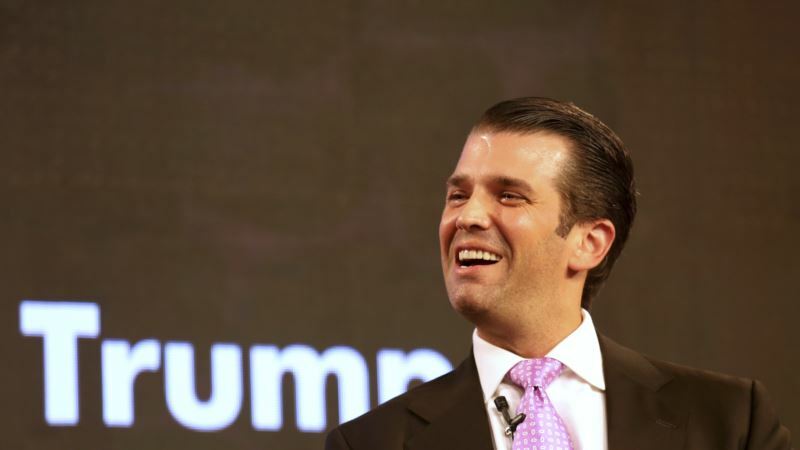 (VOA): A business conference in India has renamed an address by Donald Trump Jr. after criticism that the original title of the talk suggested he was speaking on foreign policy issues that should be left to diplomats and government officials. The conference, which Trump, Jr., executive vice president of the Trump Organization, attended Friday was organized by the prestigious The Economic Times newspaper in New Delhi and attended by the Indian business and political elite. In speaking with an Indian journalist, the younger Trump steered clear of all policy issues and tried to rest criticism that has dogged his trip. “I am here as a businessman. I am not representing anyone. I have been coming to India for over a decade,” he said at one point. In a letter sent to the American ambassador in India earlier this week, U.S. Senator Robert Menendez, the ranking Democrat on the Foreign Relations Committee, expressed concern that the speech could “send the mistaken message” that Trump Jr. is speaking on behalf of the U.S. government. Controversy about Trump Jr.'s visit erupted before he landed in India on Monday after newspaper advertisements offered buyers properties licensed by the Trump Organization “dinner and conversation” with the president's son, sparking concerns of ethics and conflict of interest. The Trump Organization has licensed its name to five projects being built by local developers in India, the company's largest market outside the United States. One luxury apartment complex is complete in Pune, while four others, are in varying stages of construction in Mumbai, Kolkata and Gurugram. In Delhi and Kolkata, customers who paid the booking fee of $ 38,000 were invited to dine with Trump Jr. The head of one of the companies building the Trump Towers in India, Kalpesh Mehta, told reporters $15 million was put down by buyers on Monday. He said over $100 million worth of real estate has been sold in the towers coming up in Gurugram, near New Delhi. Trump Jr. has dismissed claims that his family business is benefiting from his father's presidency and told an Indian television channel that his family had gotten no credit for business it has lost because of self-imposed restrictions President Trump has applied to stay away from any new foreign business deals during his term in office.